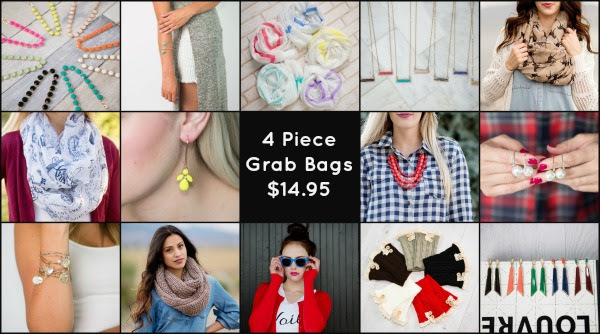 4 Piece Accessory Grab Bag a $79.80 value for only $14.95 & FREE SHIPPING! PLUS, Cents of Style is also offering the first 100 customers to purchase and EXTRA item in their grab bag! That's 5 items for $14.95 on the first 100 grab bags purchased. All items available for grab bag are not pictured, but will be of similar style and high quality pieces. Each grab bag will include 1 scarf guaranteed + 3 accessories (statement necklaces, bracelets, pendant necklaces, earrings, rings, sunglasses, etc)! That's just over $3.00 per item in this grab bag, with free shipping, as always. 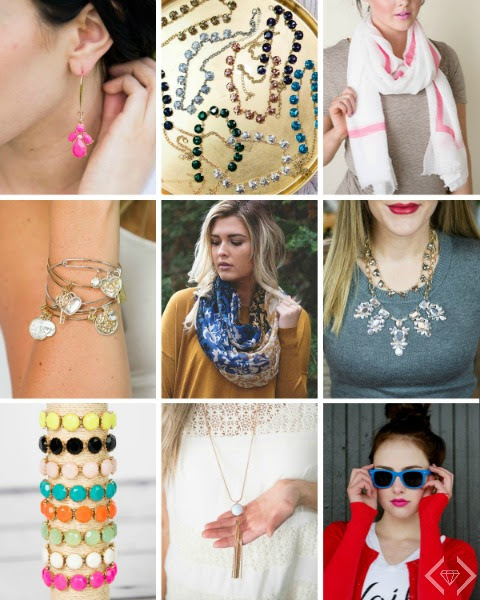 Cents of Style will hand select each item. No requests can be accommodated. Returns and exchanges must include all grab bag pieces.